Seattle-based mixologist and blogger Natalie Migliarini has created another delicious cocktail for us, this time it’s a clever use of sweet and tart Limoncello with a kiss of aromatic rose water. 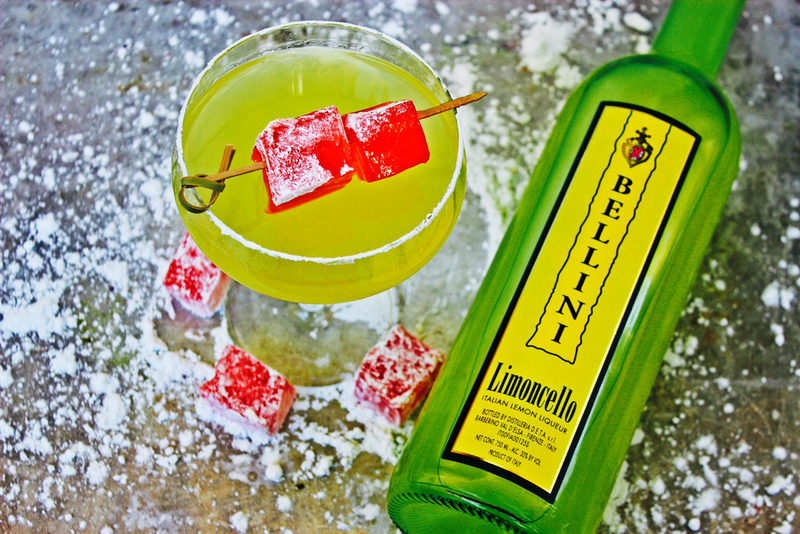 Don’t let that bottle of Limoncello shiver in the freezer, take it out to create a fun and refreshing Limoncello Turkish Delight Martini. To find more cocktail recipes, visit our Cocktail Corner! What a great idea! Finally I know what to do with my bottle of Limoncello and I love Turkish sweets too.